Forecast assumes the government can get a "business-favourable" Brexit deal. UK adspend is forecast to slow to 4.6% this year, with growth in TV spend virtually flat and digital dipping to single-digit growth for the first time in 10 years. 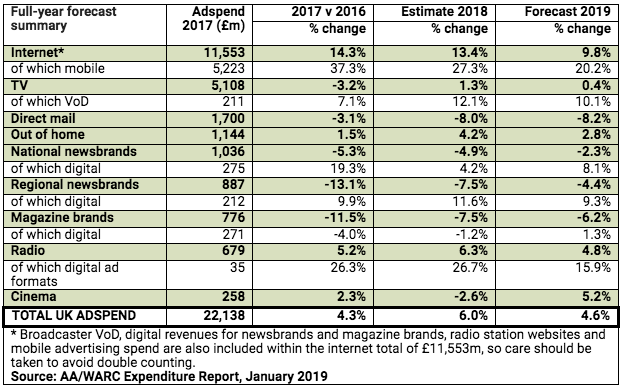 The latest Advertising Association/Warc Expenditure Report estimates that UK spend grew by 6% by 2018, up from 4.3% in 2017. The slowdown to 4.6% for 2019 will be driven by a virtually flat year of growth for television of 0.4% to £5.2bn, down from 1.3% last year. Internet adspend, which accounts for over half of all UK spend, will grow by 9.8% this year, the report forecasts. This is significantly down on previous years (13.4% in 2018 and 14.3% in 2017). The last time internet spend growth fell below 10% was in 2009 according to the AA. Crucially, the 4.6% overall forecast assumes the UK government will secure a "business-favourable" Brexit agreement. However, this prospect is far from certain as Parliament has rejected prime minister Theresa May’s EU withdrawal proposals, with only weeks until the UK is meant to leave on 29 March. Last week at Davos, the CBI director-general Carolyn Fairbarn said "the most critical thing" for UK businesses was to avoid a no-deal Brexit. 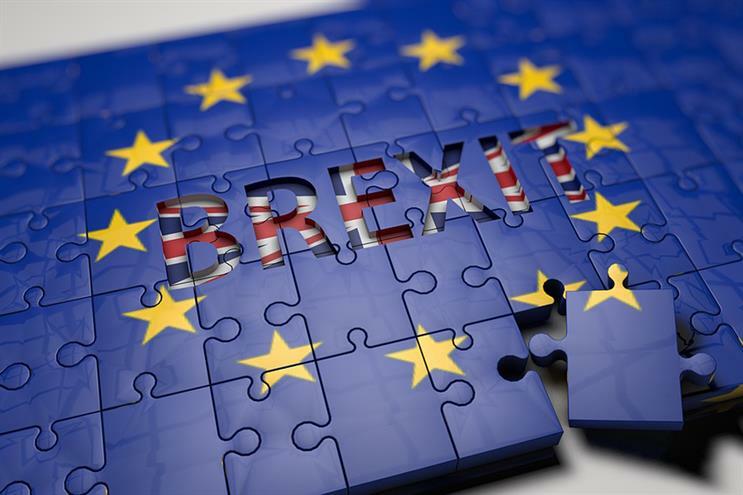 Brexit is set to be a key topic at this week’s AA Lead conference in London, which will look at the key themes of Trust, Trade and Transformation. Stephen Woodford, chief executive of the AA, said: "UK advertising continues to perform strongly, now delivering its 21st straight quarter of growth and demonstrating the commitment of British advertisers to investing in the growth and success of their businesses.